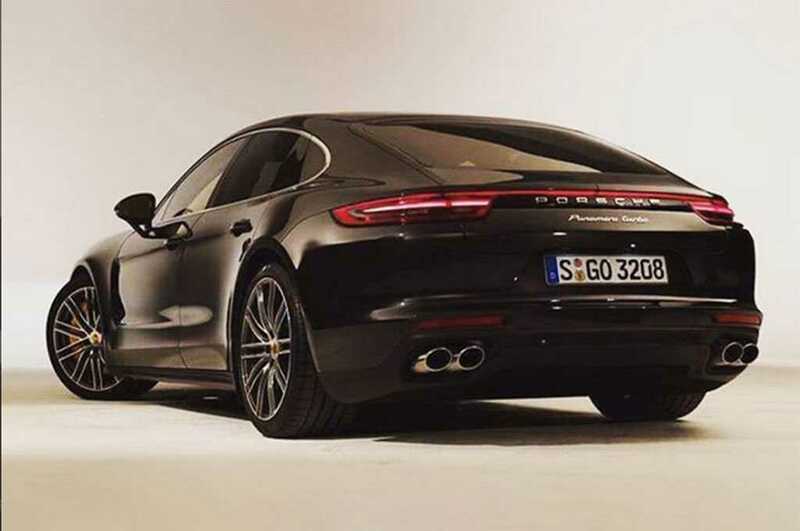 Porsche recently posted a teaser video for their next gen Panamera model on Youtube. Within hours since its launch, official photos of the car leaked online. The three photos which was made available on Instagram was done by a user and definitely not by the company Porsche. The pictures are of good quality and give a clear perspective of how the car looks. The exterior of the model is much sleeker than it used to be giving a sporty look to the new Panamera. The front is equipped with a new grille which seamlessly integrates with the fog lights and the head lights. The rear design with a hunchback used to be the proprietary choice for Porsche. However, the company has finally removed this design which was detested by many buyers. The new model is sleek, seamless and has a flat design similar to the one being used in the 911. It is a four door coupe coupled with new tail light design that runs throughout the length of the rear end. Reflector strips are pasted on the lower bumper right above the dual exhaust pipes. An official reveal for the Porsche Panamera model was supposed to be done at a grand event in Germany next week. The auto brand released teasers to build hype for the launch but some random user has stolen the thunder from Porsche. With such unique lighting, the teaser video is extremely subtle and doesn’t reveal any of the design elements. The sound of the engine can be heard in the video but when we match it with the leaked images, we get the whole picture. There is not much to be excited about the car now as we have seen all of it in a matter of hours. Many photos have leaked throughout the production of the car. We even had the opportunity to see a production version of the model a couple of weeks ago. The powertrain used in the four door coupe is a 3.0-liter V-6 engine as well as a 4.0-liter twin turbo variant with V8 engine. A hybrid is in the cards and with every automaker foraying into the world of electric cars, it won’t be surprising if Porsche decides to have one such variant for its next gen Panamera as well. You can check out the latest teaser video right here and the pictures while gearing up for the official reveal on June 28.